The cloud is arguably one of the biggest strategies employed by organizations in reducing their overall IT and operation costs. According to recent statistics, 84% of CIOs have successfully reduced their IT costs by shifting to the cloud. 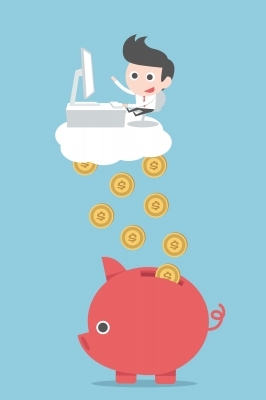 Although the respective savings vary according to their cloud activities and organization scope, the average annual savings made by cloud users are 21% of their previous IT expenditures. The saved capital is alternatively injected in other business activities, ultimately boosting the affected enterprises by increasing profitability. Overall, the cloud has indeed economically impacted many enterprises- but unfortunately, some are yet to realize its full potential. Although they have successfully integrated it into their processes and operations, the enterprises are still yet to fully leverage its costs-savings potential. Doing so is critically important considering the tough financial times many organizations are currently going through. Each departmental manager, including CIOs, are consistently under pressure to reduce their operation costs but maintain optimum productivity. In a bid to reduce operation costs, many enterprises incur a lot of losses as they migrate to the cloud. By shifting all their resources, they render most of their existing infrastructure redundant. Consequently, after the migration is comprehensively implemented, they are left with a lot hardware, which in most cases is sold off at throw-away prices. To avoid this, your migration should be carefully thought ought and strategically implemented. Instead of relying on third party provided resources, you could manage your own self-hosted cloud system hosted on your existing infrastructure. If your infrastructure is insufficient, you could acquire additional pieces or build a hybrid cloud which integrates your system with the public cloud. With 82% of businesses currently leveraging this type of cloud (up from 74% in 2014), it’s indeed the most preferable strategy due to its unlimited benefits. In addition to making use of existing infrastructure, your cloud architecture needs to be simple to ensure optimal cost reduction. A complex infrastructure architecture usually results in a lot of wasted resources and time. Take for instance a company running its cloud resources on 20 different computers, with 2 using different operating systems. Since the 2 require their own set of optimized resources, the IT staff end up wasting a lot of time and money in developing and maintaining them. If you don’t already have a comprehensive metric system with all the critical analytics implemented on your cloud, you are driving your company with your eyes shut. Your cloud system should be integrated with a metric system which highlights all the relevant analytics in various departments. It should be used to monitor and track the progress in all your departments plus produce real time reports on the respective cloud resources. From the reports, you’ll be able to appropriately judge the cost value of each resource according to the initial investments and eventual output/performance. Ultimately, these findings can be used to determine resources to eliminate or keep and subsequent decisions on reducing overall cloud expenses. One of the most prominent advantages of using the cloud is the ability to scale up or down according to your needs- unfortunately, a number of cloud users have misunderstood this privilege. Instead of scaling up according to their developing needs, they kick-start their cloud strategy on a rather overambitious note. They overprovision their infrastructure by subscribing to or acquiring excessive cloud resources which subsequently, remain underused. This usually increases the overall cloud costs since affected enterprises end up paying for additional resources that they didn’t even require in the first place. Although ambition is a critical driver for business growth, it should be managed when it comes to implementing your cloud strategy. Before embarking on your cloud strategy, conduct a comprehensive analysis of your businesses needs and future projected growth. Your cloud infrastructure should be acquired according to your current and near-future projected needs. Additional infrastructural resources can only be implemented when your enterprise’s needs develop to their corresponding levels. Scaling therefore, should only be executed only when necessary. The cloud is sufficiently and easily flexible- a fact that every enterprise acknowledges. Unfortunately, most only focus on one side of the coin- the upscaling process only. They keep reacquiring new cloud resources when the need arises but ultimately forget to drop them when they become redundant. Consequently, they end up incurring costs on resources they even don’t need anymore. The best way to avoid such costs is conducting the requisite downgrades after periodically auditing and reviewing all your resources. Only the most relevant and critical applications should be maintained by an enterprise. In addition to helping you make savings, this strategy creates sufficient room for upgrading and running other cheaper, but better applications. Therefore, downgrading is just as vital and useful as upgrading. Finally, remember to subscribe only to vendors with the most reasonable packages. Compare the individual prices and the privileges that come with various packages. You should also be on the lookout for dirty tricks some of them employ- of providing free resources in the beginning which later come with high price tags when you consider upgrading.